Virtual Medical Simulations (VMS) are poised to become the preferred medical training method of the future. Unlike conventional, passive methods of teaching-the use of lectures, the outlines and diagrams on a chalkboard or in a PowerPoint presentation-Virtual Medical Simulations engage the trainee continuously on multiple levels: video, audio, text, narration, testing, and interactivity. It is this last element that truly brings a cutting-edge advantage to Virtual Medical Simulations over traditional training methods. Not to be confused with the passive experience of watching video or animations, VMSes engage the trainee in a rich virtual environment, walking the trainee through a process, and allowing that trainee to make their own mistakes and be corrected in real time as they try to perfect the process themselves. Virtual Medical Simulations can transmit knowledge to their users in the best way possible: through experience. 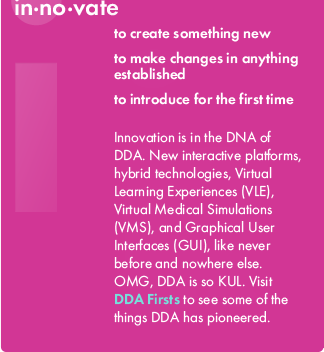 DDA's Virtual Medical Simulations are built on a rich history of developing unique, custom-designed tools for the medical industry. DDA has done pioneering work in the development of medical training programs, including customized eLearning platforms, Virtual Learning Environments (VLEs), and Continuing Medical Education (CME) platforms. VMSs can be integrated into CME platforms to provide accreditation to those who can demonstrate successful retention of the skills mastered in the VMS. Since DDA VMS™ always builds its programs and platforms to be fully scalable, you can rest assured that as regulations change, technologies evolve, and therapies improve, you will easily be able to update your training platforms for continued viability. DDA's Virtual Medical Simulations are perhaps the greatest example of DDA's core strength: the multidisciplinary, fully hybridized approach that assembles a diverse range of skills and technologies, in-house, in original ways found nowhere else. 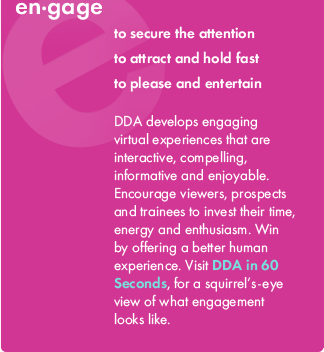 DDA VMS™ offers a long list of services, including scriptwriting for any integrated video spokespersons or narrations, video design, editing, and production, 2D and 3D animation, and the creation of virtual reality immersive environments. Other services used in the production of Virtual Medical simulations include graphic design of the user interface and any constituent elements of the VMS, advanced custom programming of the simulations, and any tracking, reporting, and accreditation features integrated into the VMS platform's back-end. And, as with all DDA-developed projects, the full range of smartphone and tablet apps and mobile-compatible platforms are always available. 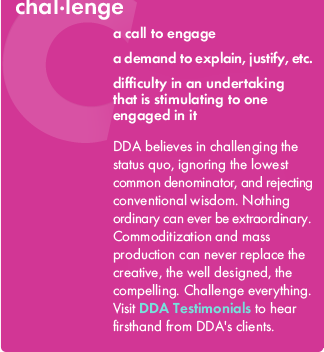 After all, DDA is the universal developer, with capability across all platforms and devices. Discover how you can make your organization's medical training Virtually Perfect™. 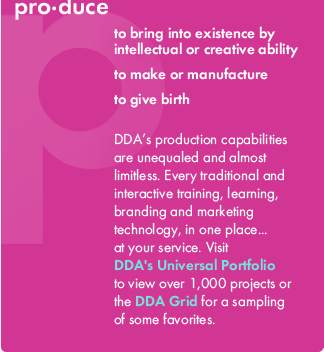 Contact DDA VMS™ today.